Camping @ Llangorse Activity Centre0333 600 20 20work Touring & Camping ParkThe on-site camping area at Llangorse Multi Activity Centre is in an informal pleasant location near to the Bunkhouse and Farmhouse. 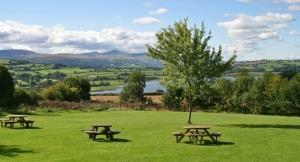 The spacious site has stunning views overlooking the Llangorse Lake and the Brecon Beacons. Picnic tables are dotted around the field, and toilets & showers are located close by. 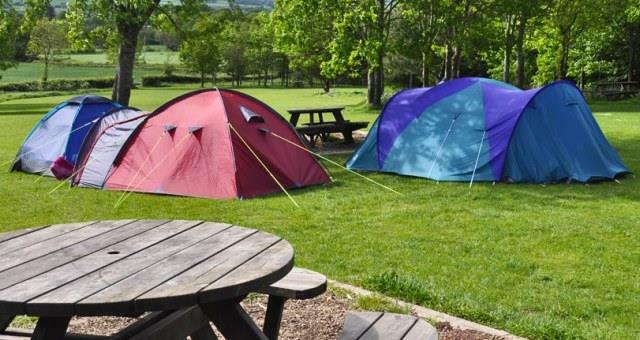 The on-site camping area at Llangorse Multi Activity Centre is in an informal pleasant location near to the Bunkhouse and Farmhouse. Camping is available for groups or individuals.